KEXP is a nonprofit, public radio station with terrestrial listeners in Seattle and New York and around the world on www.kexp.org with a mission to bring music that matters into people’s lives. Check out our latest KEXP Blog Entries! From Seattle, Sandrider preview their self-titled debut, released on Good To Die Records. 'Crysknife' sees them at their loudest. Sprawling 13-piece ensemble Orkestar Zirkonium list funk, punk, klezmer, and Eastern European and Indian styles as their inspiration, resulting in a distinct sound that's both boisterous and drum-and-brass-driven. Then there's lo-fi folkster Bill Campbell, who performs under the guise of Thee Midnight Creep and plays a spooky autoharp. Singer-songwriter Damien Jurado writes ambitious psychedelic folk compositions that'll make you swoon. Representing Portland next is warehouse band Blouse who preview its self-titled debut with a song called ‘Into The Black.’ Quasi, an indie trio formed in 1993, comprising ex husband and wife Sam Coomes and Janet Weiss and bassist Joanna Bolme, play 'Case Of No Way Out'. Laura Gibson is a Portland-bases folk singer and songwriter. ‘La Grabde,’ is the title track of her acclaimed 2012 album. This week, Iceland Airwaves announced the latest additions to their lineup for October 2011, prompting a look & a listen back to KEXP's trip to Reykjavik for Iceland Airwaves 2010 featuring some of Iceland's most exciting artists. Today I'd like to spotlight the avant-punk band S.H. Draumur from Kópavogur, Iceland. Originally active from 1982-1988, the three-piece was inspired by Pere Ubu, Suicide, Swell Maps, Joy Division and The Birthday Party, as well as by the vibrant Icelandic music scene, where they served as the local opener for Swans and Einsturzende Neubauten. Along with a handful of cassettes and 7"s, S.H. 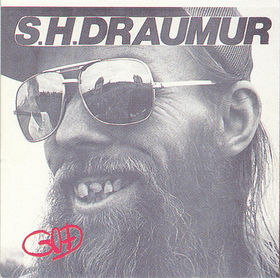 Draumur recorded one LP -- Goð -- over the course of 50 hours spent in a YMCA community center, as bassist/vocalist Dr. Guuni recounts in The Reykjavik Grapevine. That sought-after LP (picutred R) was reissued by Iceland's Kimi Records in 2010 to coincide with S.H. Draumur's reunion at the Iceland Airwaves Festival. KEXP was there all the way from Seattle (Reykjavik's "sister city") to record the performance (stream it here), and "Nótt Eins Og Þessi" (below) is part of KEXP's Iceland Airwaves MP3 compilation. KEXP will return to Iceland Airwaves for the third year in a row Oct 12-16th 2011. This year's lineup again features an incredible array of Icelandic artists (including Retro Stefson and Who Knew who are also featured in KEXP's 2010 mix) and internationals (tUnE-yArDs, K-X-P, Liturgy, Dungen, Suuns, and Beach House to name a few). Check out the latest on the 2011 lineup here and more of KEXP's Iceland Airwaves coverage here. Seattle-based aboombong, now available on the FMA...check it out. Hey KEXP, Check out this album! Tom and I had Jason from WFMU on the Music Manumit Podcast to talk about WFMU and FMA. We'd like to have someone on from KEXP to discuss the cool things you are doing. Hit me up if someone would be interested. My name is Matt and I am part of a group named Babe Parade. We have a new EP called "Lush" and wanted to share it with you.